With maybe the biggest news in Homeland Security since 9/11, President Obama announced Sunday night terrorist and arch U.S. rival, Osama Bin Laden has been captured and killed. Nearly 10 years after Bin Laden led a charge killing over 3000 Americans in the World Trade tragedy, the face of our War on Terrorism has been defeated. This is not just about the United States, but terrorism around the world. This defining moment in foreign policy will not only mark our history books with its own chapter, but be the catalyst for changes our world will see ahead. 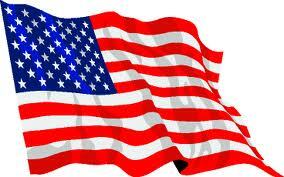 Although this event brings peace to many Americans, we must remember and make efforts not to misplace our enthusiasm. Our celebration should be about peace, and an effort to ease the pain 9/11 caused our nation. Despite the evils Osama Bin Laden brought our country, celebrating his death alone, without the meaning of this task by our Troops totally negates the accomplishment. Remember, he celebrated death as well. Please place your celebrations appropriately. Over the last 2+ years, President Obama has been fighting with naysayers over his natural citizenship in the United States. Ridiculous. The short form, along with the strong support Mr. President has received from constituents and politicos, apparently have not been enough to prove he is really one of us. Late last week the long form of President Obama's birth certificate was released. Can we be done with the sideshow now? The NBA Playoffs have been more exciting than ever, and we are just starting the 2nd Round! Friday night, the Memphis Grizzlies-- one of the youngest franchises in the league, eliminated the 4-time NBA Champion Spurs. After an amazing start to the season, the second best league record, and #1 seed in the Western Conference, the Spurs lost in the first round to the #8 Grizzlies. 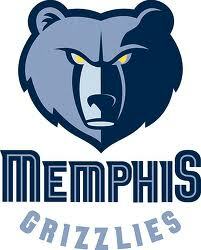 This is a great win for the city of Memphis. We can't wait to see how they do in Round 2. They're already up 1 game over the Oklahoma City Thunder. Look alive for the Grizzlies! As reported last week, the SCOTUS ruled for the NFL players, finding the league to be in the wrong in their labor and revenue disputes. Following the decertification of their players' union, individual lawsuits were filed by major players, like Peyton Manning and Tom Brady. The league and players have been battling over antitrust issues and revenue shares for some time now. After locking out the players and losing at the high court level, the league is appealing. Will we have a football season for 2011-2012? 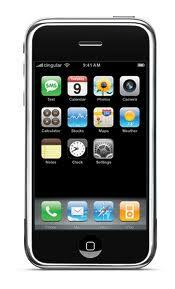 With the iPhone 5 set to debut this summer, rumors of the version 6 have surfaced on the scene. The iPhone 4 has just been released in white, and now, Apple fans can get excited about the 2012 release of a thinner, lighter device. Sharp is rumored to be producing the screen, leaving tech-nerds ecstatic about possibly the highest definition screen out there. Well, way to get ahead of ourselves! Although local news, the American Cancer Society Wig Boutique in Naperville, IL is blazing a trail in fighting cancer. This fabulous shop is helping women feel better about the tough results of their chemotherapy, providing wigs free of charge to cancer fighters. From long manes, to short bobs with highlights, women can still feel good and look good, as we all fight this terrible disease. Check them out on the web here.